It’s that time of the year when poison oak and poison ivy are making their existence known. 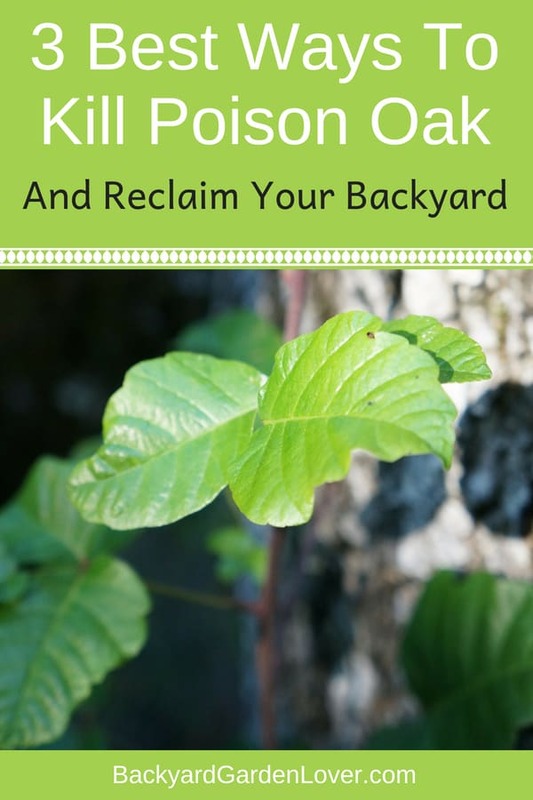 Here’s the best way to kill poison oak from your yard. Poison oak is a plant that grows wild in many areas, including the backyard and garden area of many homeowners. 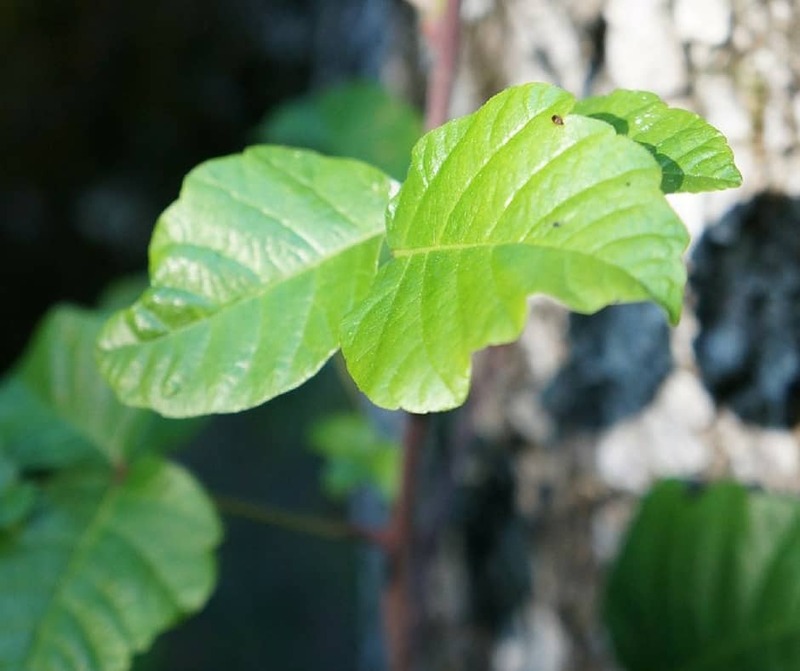 If you’re allergic to poison oak, it can generate a severe reaction that causes an itchy rash. This rash can be very uncomfortable and it can spread easily to other parts of your body. For this reason, you need a fast easy way to get rid of this annoying plant. If you don’t have a lot of poison oak in your backyard, it would probably be best to remove it yourself. One of the first things that you’ll want to do is prepare well. Wear long pants, a long-sleeve shirt, socks and shoes. Find a good pair of gloves that won’t let any of the oils seep in. Be careful to not let the plant rub up against your face. Your goal is to be able to remove the poison oak without having to deal with a massive outbreak. Remember to wash your clothes separately when the task is completed as well. Now that you’re prepared, start pulling the plants out of the ground by their roots. This is a daunting task that won’t be much fun, but neither is spending your summer covered with an itchy rash. Poison oak has long runners under the ground: make sure to dig them all up. You can use a shovel to make sure you get all of these. If you manage to get all of the roots up, you won’t have to worry about the plant growing back. Another option would be to use herbicides. The most effective herbicide for controlling the growth of poison oak is called Glyphosate. If you choose this method, make sure you read the label. In order to be effective, you need to apply the glyphosate at a certain time during the life of the plant. If neither one of these removal ideas seem to suit you or if there are lots of plants in your backyard and garden, you can always hire a professional to do the job for you. It will cost a little more but you won’t have to worry about coming in contact with the plant. The hard work involves pulling them up by the roots or disposing of the plants. But you will soon be able to enjoy a poison oak free lawn and garden. 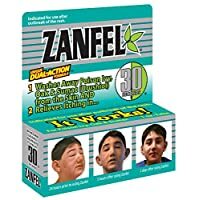 If by any chance you come in contact with the poison oak, don’t despair. You CAN avoid getting the poison oak rash, if you take some precaution. 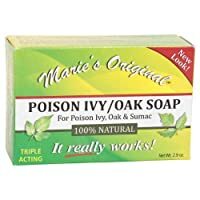 Wash your skin that came in contact with the poison oak with water and soap (this soap worked wonders for my daughter). 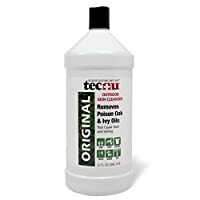 The trick is to scrub your skin well, with a washcloth or loofah, several times, until the Urushiol oil from the poison oak (or ivy) is completely removed form your skin. Watch the video below to learn how to do it properly. 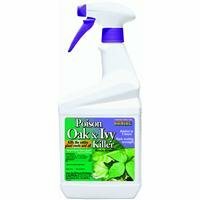 You are now hopefully equipped to kill poison oak in your garden, and keep your skin safe even if you touched it. I recommend using salt, normal regular table salt. It won’t poison your land/soil for years. New plants will grow in that spot in 3-5 months so it’s not permanent but neither is the Glyphosate. It’s also much cheaper and safer to use. No special disposal of herbicide container or need for protective gear when using salt. It works. A gallon of Glyphosate as Round Up cost me $25 years ago and it only covered a small (less than 10 square feet) in our gravel parking area. I could not afford to buy more. Due to incline of our gravel area, I was worried that run off would kill the plants at the bottom that I didn’t want killed. Salt worked great.